We’ve designed an Engagement Tool (see: What is an Engagement Tool?) 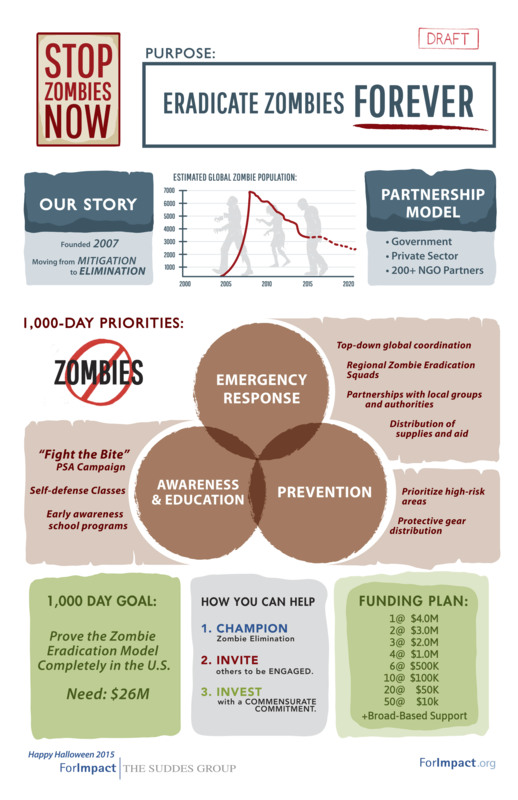 to help STOP ZOMBIES NOW – a silly look at how to engage with a visual tool. There’s also a short (10 min) teaching video that’s worth a watch — it offers a serious explanation of story, simplicity, altitude, message, case, and the funding rationale to ERADICATE ZOMBIES FOREVER.